First of all, i am neither a Devant sales agent, nor a salesman of some appliance store... I'm just a normal consumer like most of you... Disclaimer? I just recently went shopping for an LCD TV that should fit my budget of around P19K-P21K. 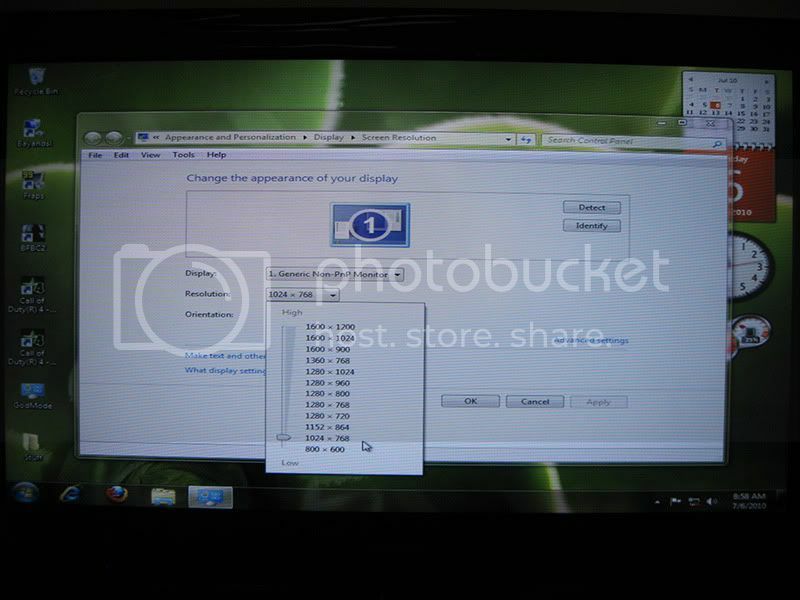 A 32" inch LCD TV is just the right size for this budget. 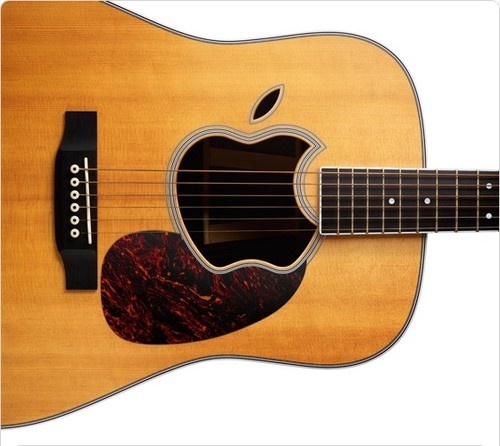 Also, I have many considerations in mind: it should be of good quality with generous features, but it should also be cheap--giving me the best value for my money. At first, I thought buying in malls is a no-no since gray market vendors are the thing these days, for they can sell items at mostly half the mall price. But upon comparing their prices, I am surprised that mall prices too are competitive now. So I went into some forums and researched on which mall store can offer me the best deal. Upon reading further, I discovered that one is Anson's Trinoma--some forumers say that it's a kind of store where you can "haggle" even if it is a 'mall store'--just like buying in Divisoria or tiangge. Sir Vic's "Sights & Sounds" in Shangrila is another, with prices that are hard to beat, but too bad it's too far from my place already. After reading a couple of reviews, i'm initially sold to getting the Panasonic L32C10X--with decent PQ, 2x HDMI, VGA input port, plus an SD card reader for viewing pictures. But upon getting into the showroom, the tides suddenly changed... Well, I guess you know what product I ended up with. The contrast ratio is quite small, but surprisingly, the picture quality is very good! I got satisfied with the picture quality 'out-of-the-box' that I didn't even bother tinkering with the picture settings anymore. The colors are rich & vivid, and the black is black but doesn't lose details caused by very deep blacks compared to other hi-end LCDs. Response time is pretty good in movies, but I would still need to test its speed in video games. No washing away of colors, nor darkening! Another surprising feature is the built-in bottom speakers. The brochure says that the speakers are just 5watts x 2, but in television mode, the sound is surprisingly very loud & crisp even at low volume. When watching movies via the HDMI connection, you'll get a weaker sound though (that's expected due to dynamic range). You can either turn up the volume, or you can purchase better speakers with dedicated amplifiers--the recommended choice. TV reception is fair to good considering that I only used an 'indoor' Greentek antenna (without booster). I would also like to try out the 'booster-type' indoor antennas once I get to purchase one (i'm eyeing for the Greentek brand). But you will get the best reception if you will use the Baron-type outdoor antennas (as indicated in the manual). If none of these satisfies you, then just get a cable subscription instead. 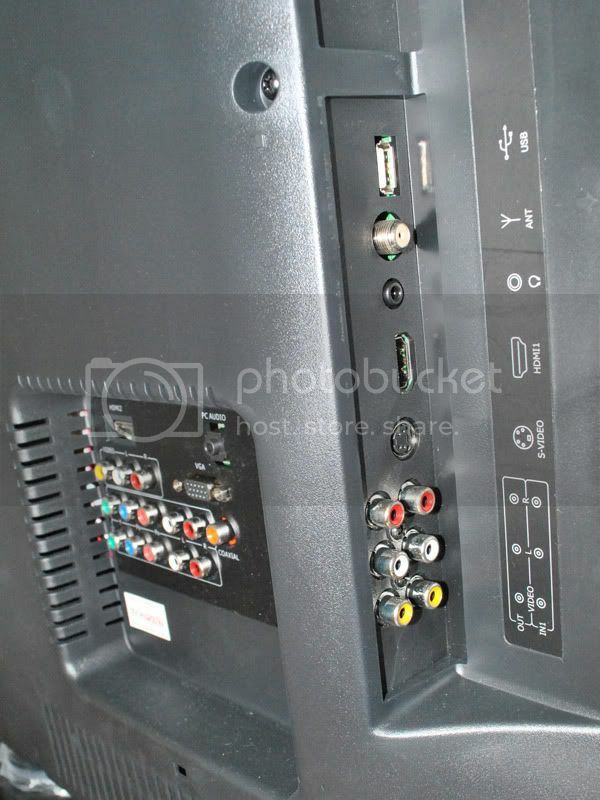 It's got 2 HDMI ports, one on the back & one on the side... which is good for easier accessing. The USB port can read JPEG images & plays MP3s, they call it 'DMP', it stands for Digital Media Player, I think? 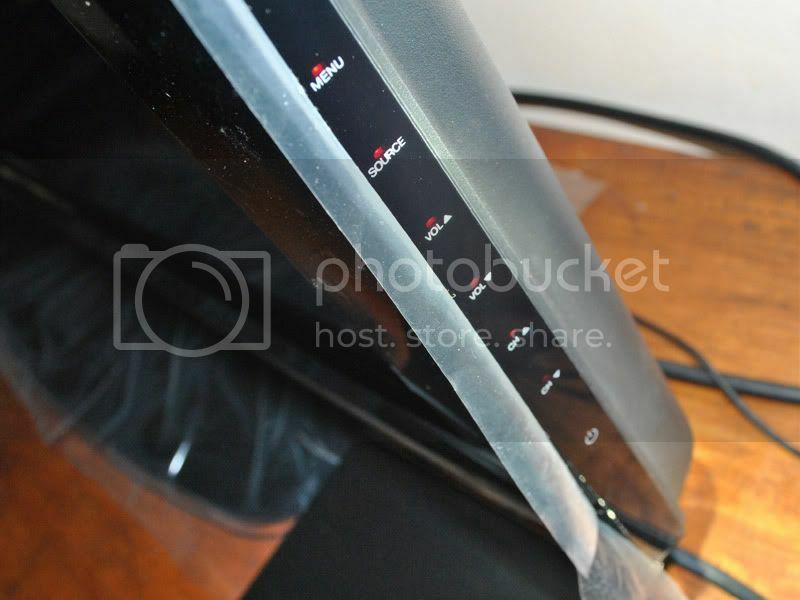 The read speed when viewing photos is fair to good (depending on the size), and it can zoom the photos for panning. The TVs start-up time is around 8 seconds--from power button press to splash screen, and takes around 12 seconds from power button press to picture & sound start. The remote control range is very impressive, I tested it as far as 30 feet away from the TV and the remote is still working! The power consumption is rated at 130watts if everything is set to maximum. The free Nextbase NB-895 is an HDMI 1080p-upscaling DVD player. It's valued at around P3,500+ in the malls if bought separately. It upscales movies very well, especially when watching those "jack sparrow" Blue-ray-sort-of DVD copies bought at tiangge, you know what I mean. It can even play DivX movies with SRT subtitles burned on a disc or via USB! and has Karaoke function too (haven't tested that yet though). The player's setup menu... upscaling! Connectors galore! Notice the player is also protected by a rocker switch. My only complaint about this player is, the subtitles in the DivX movies only uses a plain white font (no black font lining)--so when you are viewing very bright scenes, you can hardly read the subtitles anymore. But in conventional movies (CDs, DVDs, etc. ), the subtitles are normal. It even comes with a free Nextbase brand HDMI cable (not generic), very good quality! It has gold contacts and its cable is very thick but soft... neat! A standard, 'fixed' wall bracket is included as well--it's good when mounting the TV in the sala--with the LCD panel's very good viewing angles, there's not much to complain about--may you mount it high or low. But if you will mount the TV in the kitchen, etc., then it's recommended to purchase a 'pivoting' mount instead. 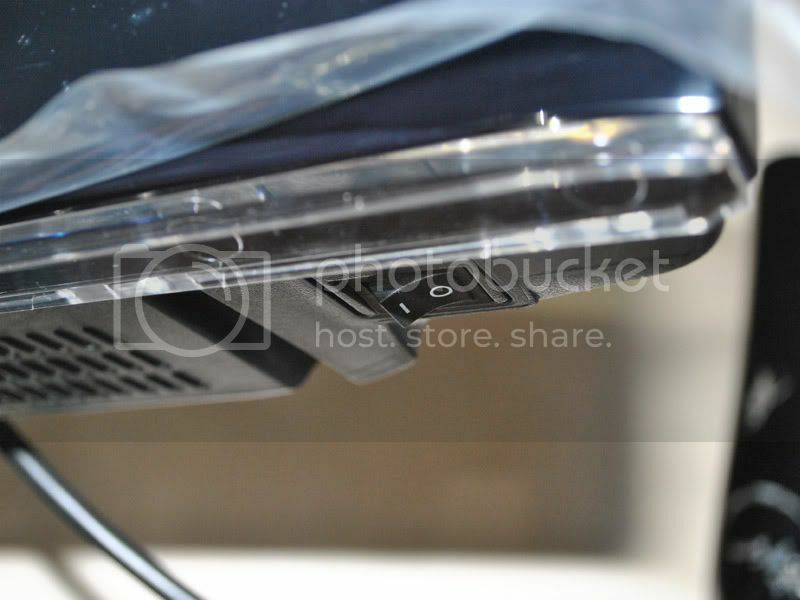 The included mount is just a plain horizontal brace, and it mounts using only the two 'top' screw holes of the TV's VESA mount, while using two rubber pads for the remaining two 'bottom' screw holes. 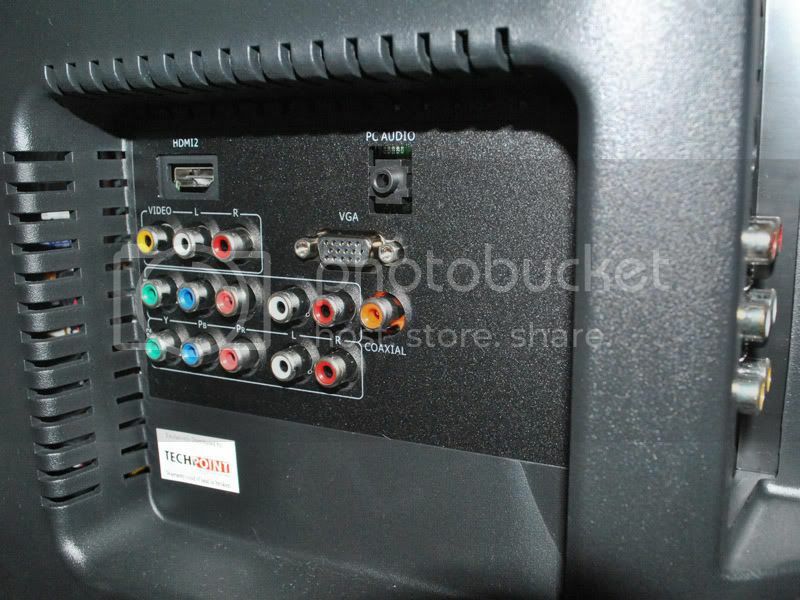 It holds the TV by hanging and is secured by two small brace screws (lock), so that the TV won't accidentally fall. If you don't want to wall mount you TV, you can always use the included swivel base, it swivels 20 degrees, left and right direction. Devant is said to be designed in Singapore, but i'm not sure if their products are made in the Philippines or China (as the same with all of our daily gadgets). It is exclusively distributed by 'Techpoint Enterprise' (www.techpoint.com.ph) and their main office/service center is in Binondo. Their website is quite unupdated, so you won't see this model there. With this, i'm pretty sure that this TV is one of their latest models, if i'm not mistaken. It comes with 1-year warranty for parts and labor, and they even offer free home service (the salesman told me that you'll just have to pay for their fare). 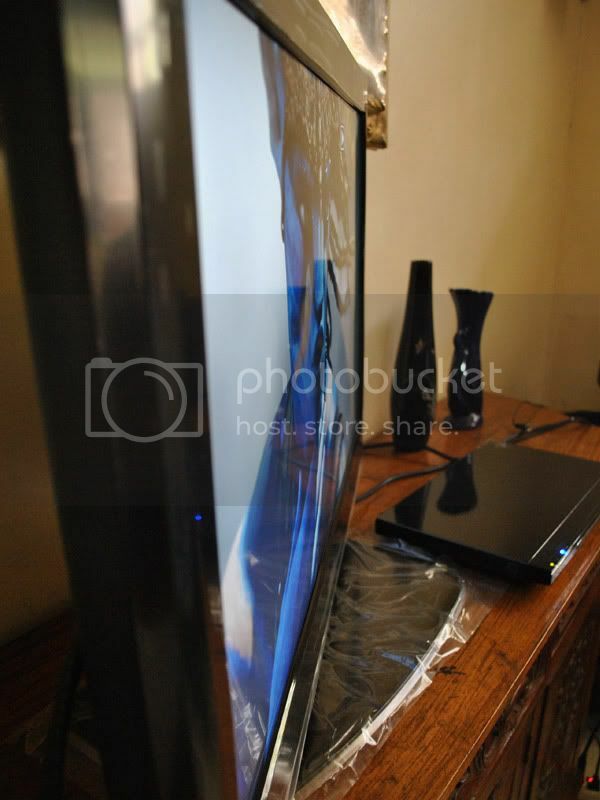 For the price of P21K for the 'entire set'--a good 32" inch TV, with very decent picture quality, impressive viewing angles, abundant connectors, plus a bonus HDMI upscaling DVD player already included--this is really a bargain! I opted for this package a week ago, imagine 21K only!!! 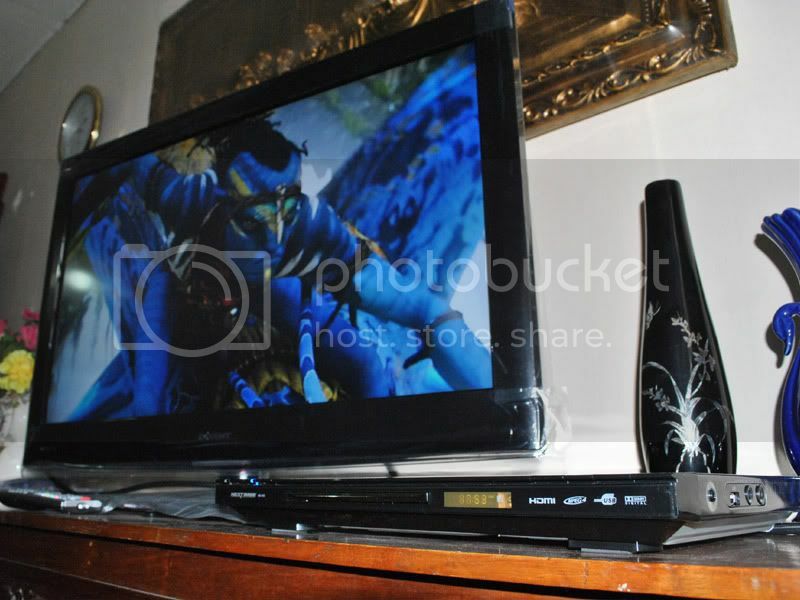 Includes an hdmi player w/ hdmi cable and wall mount bracket!!! Another contender for this model is the Ganzklar 32" HD ready with PIP and TCL 32". Was not actually able to compare the two side by side so I have no opinion which has a better PQ. Devant's panel was definitely a steal compared to the other more expensive brands when it comes to viewing angle. Got my LG310 at a cash price of 19K. Were you able to compare this side by side with the 32DX850 Signature series? 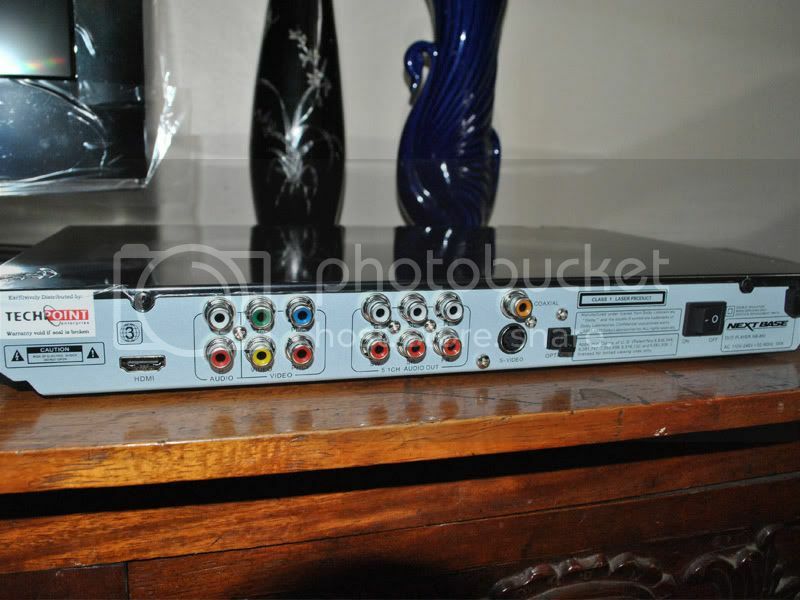 This one comes with a free NB-895 player + DV5130 5.1Ch speaker system. I was told that this series is their high end "LCD" next to their LED TV's. Yes sir, actually when I bought the TV, the Devant 32DX850 & the Devant 32CL900 are sitting next to each other, and I can say that they have the same picture quality since they're both using the same panel technology (as written in the brochure). The only difference of the Devant 32DX850 is, it has PIP, SRS, 3 HDMI ports (instead of just 2), & it can play DivX movies via its USB port (not just JPEGs & MP3s), but the rest of the features are the same. Plus, the Devant "Signature Series" has a bulkier body appearance (probably because of the SRS, but same 5w x 2 speakers), which kinda turned me off. But regarding the package of the Devant 32DX850, it comes with a FREE Devant DV-5130 5.1 channel speaker system (priced at Php9.9K+ if bought separately), and a Nextbase NB-895 HDMI player too! Anson's Trinoma is offering it to me for only Php26,500, all in! I didn't took the offer since, first, it doesn't fit my budget anymore, and second, i'm not a fan of 5.1 channel speakers (too many wires for me & tedious to set up ...'2.1' na lang! ). This is also a great bargain considering that it already includes everything na to set up your home theater! Sulit nga talaga sir! ...sayang, you fell for the LG LD310, i'm also considering din yan dati because it's very cheap, kaso mejo nabitin kasi ako sa connectivity niya. 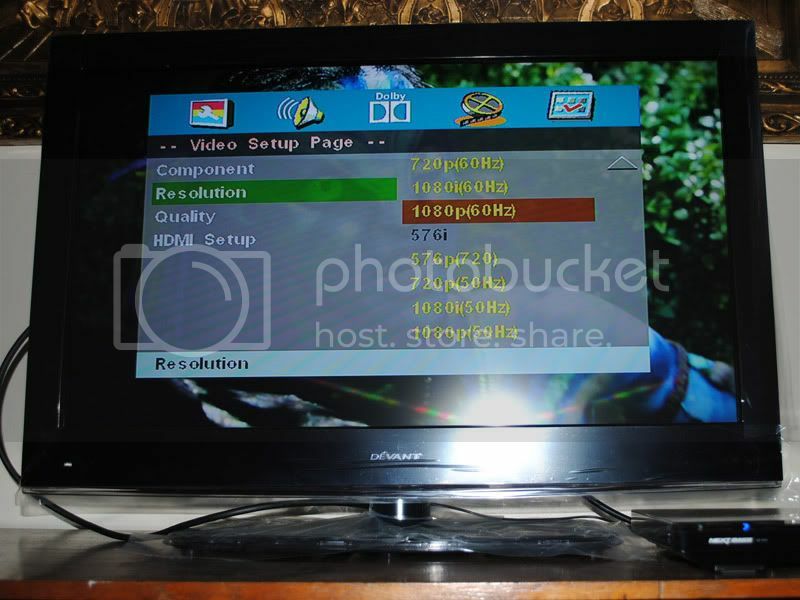 Regarding the Nextbase NB-895 HDMI player, there's a thread here in PinoyDVD regarding its 'awesomeness' dating from way back year 2008! I'm happy na nakuha ko lang ito for free! (or, if ever naman "hindi talaga siya free", then nakamura pa din ako considering what it can do) By the way, i'm using a Kingston 16GB thumbdrive with it in playing my DivX movies, and it's working flawlessly. ask ko lang if na try mo na ito sa pc games? ok naman po ba sa mga fast scenes? ...I can say that they have the same picture quality since they're both using the same panel technology (as written in the brochure). Same panel does not necessarily mean same picture quality. Was considering this model as well PQ was somehow at par with the 32c10x2. Opted to get the latter though. this was very tempting especially the "signature" series. 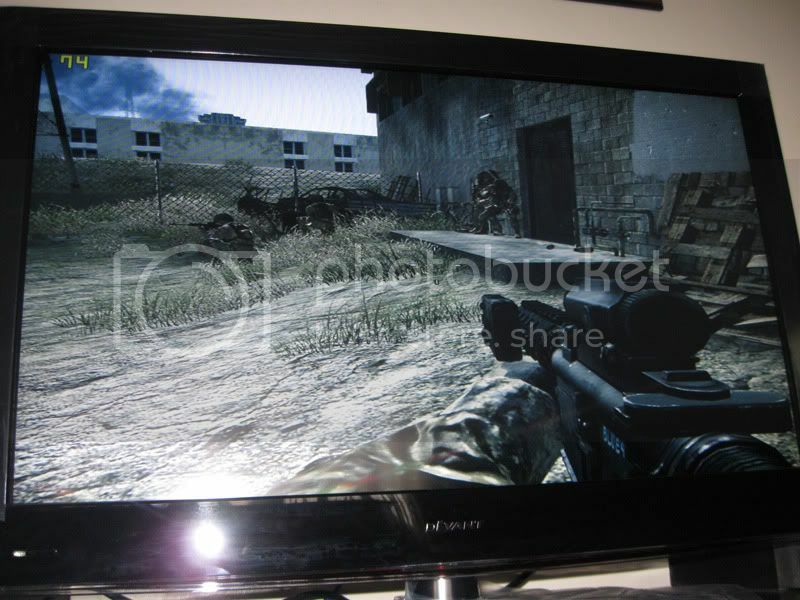 for those who wants a free hdmi player and 5.1 speakers (around PHP13k) of freebies, get the devant signature series 32"
Finally, I was able to test the video game capability of this baby just this morning by connecting it to my PC via the VGA port, and playing COD4 using 1024x768 resolution @ 60 FPS (frames per second) average reading using Fraps. RESULT: Smooth panning / no shadowing or blurring of images! Very fast! 1360x768 @ 60Hz -- The best setting. Good scaling, fine images & fonts! 1360x768 @ 75Hz -- Good, but not as fine as using 60Hz. 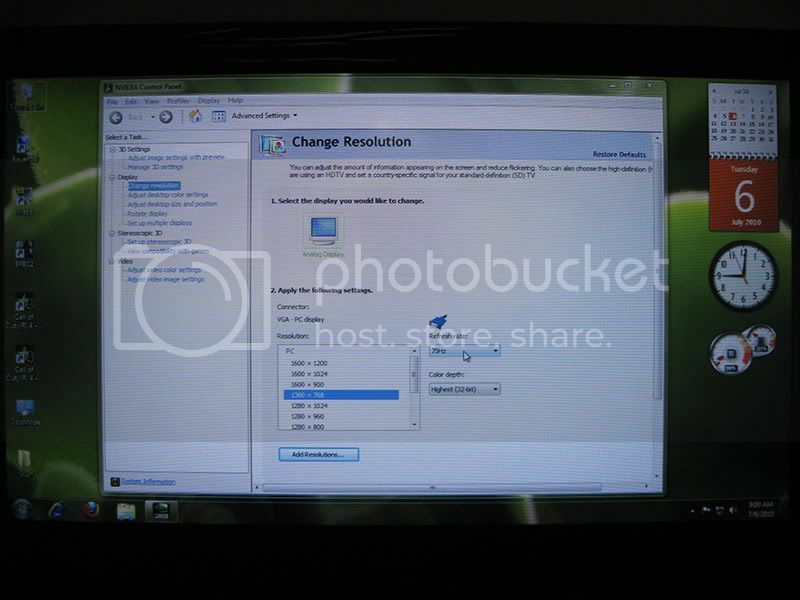 One question though... the 'native' resolution of this Devant LCD TV is 1366x768 (16:9), but the available option on my PC's display setting is only 1360x768 (that's 6 pixels short, horizontally), that's why I can only get 'fine' fonts & images, but not 'sharp' (like in 1:1 / dot-by-dot pixel mapping) ...Is there a way for my PC to use the native resolution of the display via the VGA (analog) connection? 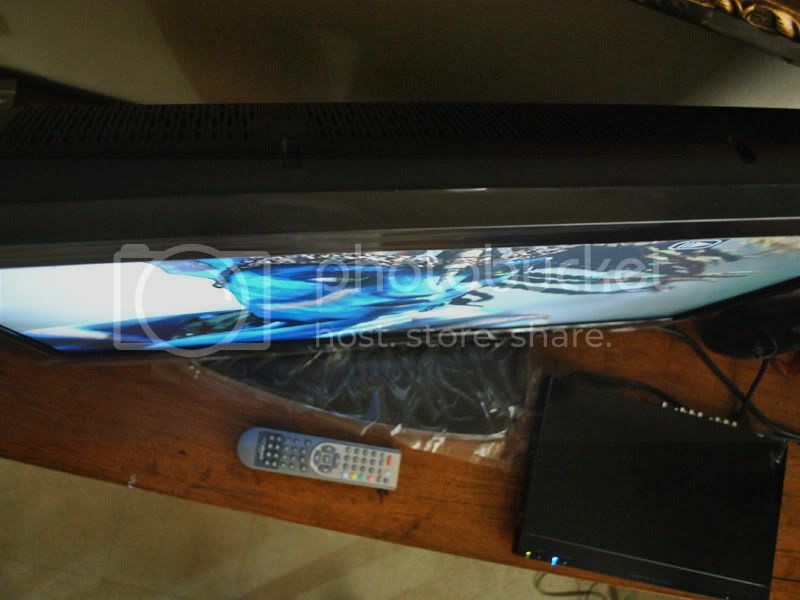 I just purchased Devant 32CL950 Full HD at Western Appliance in Ever Gotesco for 25K. (with free dvd ). 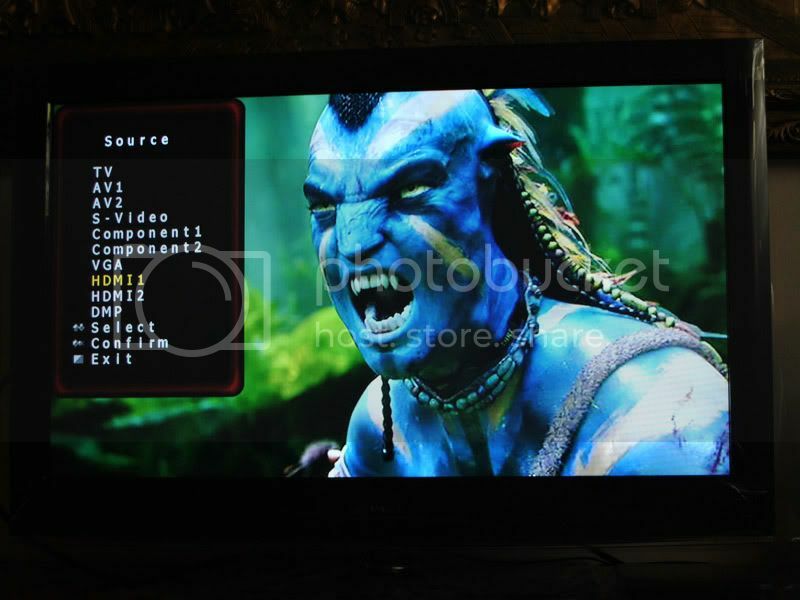 When I play God of War 3 on my PS3, the resolution downscales to 720p. It runs at 1080i on my older Samsung Series 3 LCD TV. Is there a way around this? I think I've tried all possible ways to go around with it but to no avail. Please help. Already thinking of returning it. 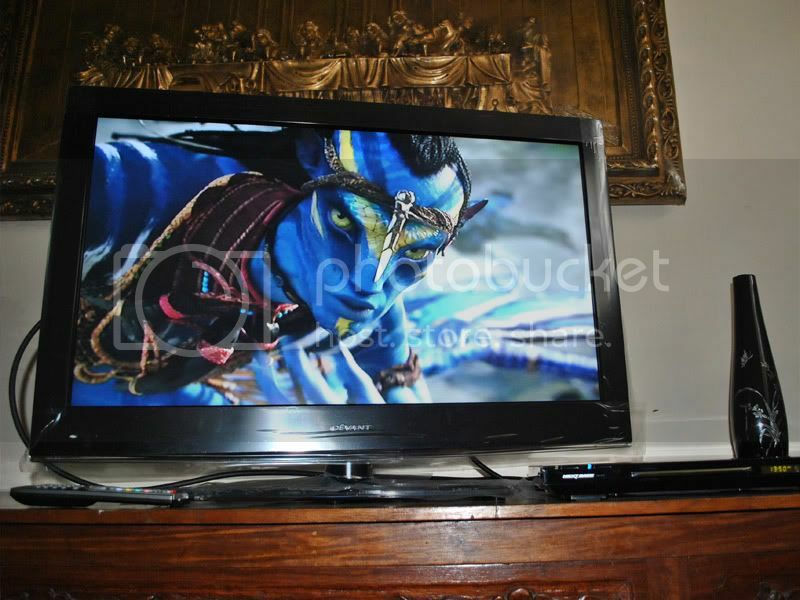 Purchased this TV for GOW3. Devant 32CL950? Are you sure this is the model you have sir? There's the 32CL900, though it can accept 1080p resolution, it's only 'HD Ready', and not 'Full HD'. Maybe you're pertaining to the 32CE950 (their "Elite" series), Full HD. Sorry, you're right. It's 32CE950 ("Elite" series). Thanks for the link. Just realized that 720p is actually better than 1080i. but GOW3 looks so much better (in my opinion) running at 1080i. Because the images and menu looks smaller compared when it's running at 720p. Thanks. Now I'm 100% satisfied with my Devant. I assume you're using an Nvidia board (because of the menu layout and the resolution issue). 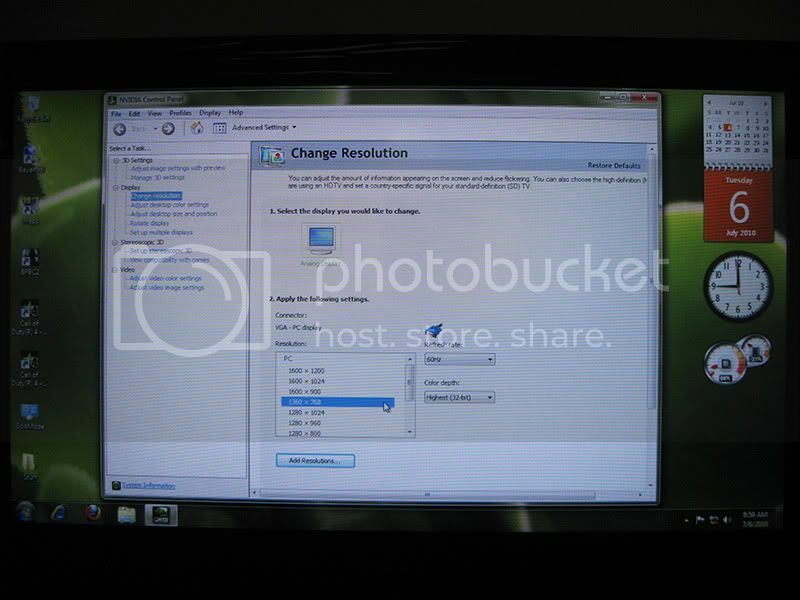 You can set a custom resolution in your display drivers. Oh yeah! I didn't notice the 'Add Resolutions' button before! then there's a 'Create Custom Resolution' button after that! Thanks a lot sir! mga sir malaki ba difference ng 720p sa 1080p? planning to buy devant kasi para sa xbox 360? Based on the experts here and also my "untrained" eye observation, at 32" inches, you wouldn't really notice the difference except for certain artifacts, e.g. some part of the crowd in NBA 2k10, that would look more'" "pixelized." Other than that, it should be the same. I was looking at this brand in SM Appliance Southmall the other day - particularly, their 19"-26" LCDs. Only the 24" was connected via HDMI while the rest were composite, so naturally the PQ of the 24" was better than the others. When I learned that only the 24" among the group (19"-26") is full-HD, I requested that they also connect a HDMI connector to the 26" which is side by side with the 24". Still, the 24" had the better PQ. Im not familiar with the different series of Devant (Elite, Signature, etc. ), but it seems the Elite series are all full-HD. which is better 32ce950 full hd or 37ce950 which is hd 720p only? im gonna use it for xbox 360.
im planning to buy devant xe mga sir for my xbox 360. im choosing between 32" full hd and 37" 720p only. but they are in both model categories which is the elite series. can you help me mga sir which is the best choice? i have no problem with their price because the latter is P5000 higher only than the former. magkano ba yung 37" devant? may samsung kasi na 30k @ cash na 37"
May Full HD 37" LG din na 29k pag cash. Carefully consider "the price" sir. Devant is known to offer 'very good' bargains (particularly in their 32" HD Ready "Lustre" & "Signature" series) since they give you the bonus of getting 'grand' FREEBIES--from HDMI players to 5.1 channel speakers--at no extra cost! Sad to say, Devant's Full HD "Elite" series (32" inches and above) doesn't offer such freebies. And, with that kind of budget that you have and NOT getting any freebies, i'd suggest you just opt for an LG or a Samsung instead... (I'm still not brand-biased, just call me a "freebie lover" ). I got a 32 inch devant elite full hd recently and it is bundled nextbase hdmi player. from what i gathered from the salespeople you get an htib if you get the signature series.